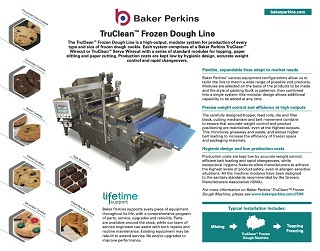 The TruClean™ Frozen Dough Machine is a high-output modular system producing every type and size of cookie dough piece for bake-off operations. 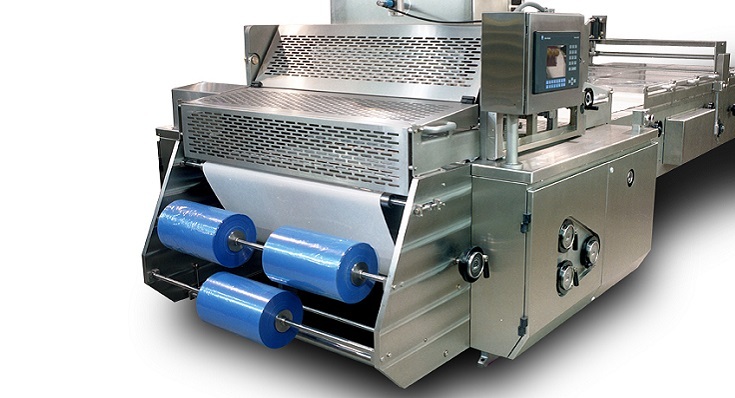 It combines exceptional reliability, fast changeovers, accurate weight control and excellent hygiene standards. High production rates are maintained while keeping operating costs low. 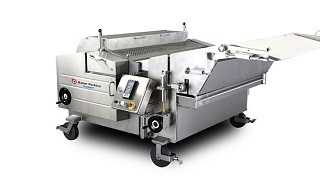 The system is based around a Baker Perkins TruClean™ wirecut with a series of standard modules for wire cutting, topping, paper slitting and paper cutting. Modules are selected on the basis of product to be made and the style of packing - onto paper or directly onto a band for bulk packing. The modular concept means that additional capability can be added at any time. 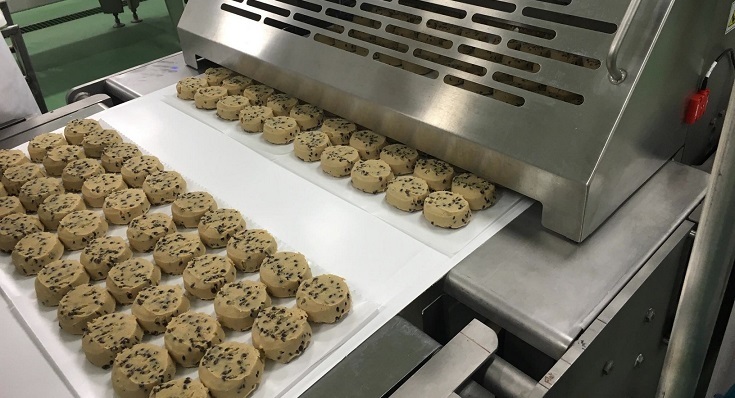 The TruClean™ Frozen Dough Machine produces the full range of cookies, bite size to gourmet, from 46 to 121mm. 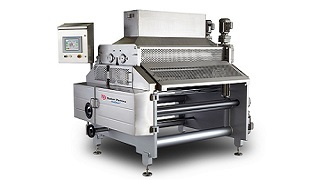 It handles most types of soft dough; there is an optional oscillating knife attachment for sticky or chunky dough. It can incorporate large inclusions and toppings for gourmet varieties. All models meet Grocery Manufacturers Association (GMA) sanitary standards. 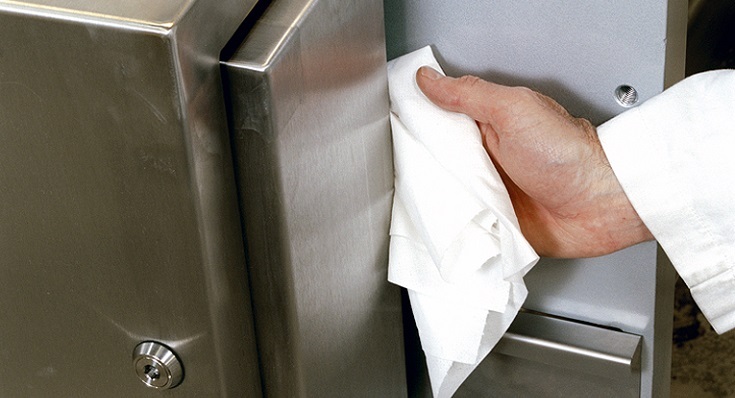 Two levels of TruClean™ hygienic design are available and may be specified separately for the heads and base. 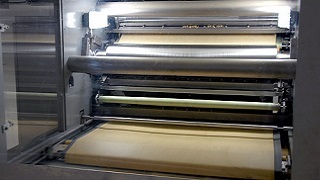 This brings the freedom from allergens and other cross-contamination issues essential to frozen dough producers, who have no control over the baking of their product. 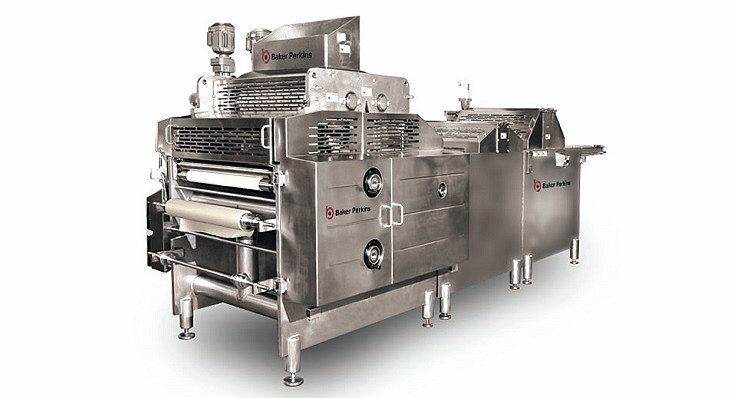 Unique filler block and die technology controls piece weight and product positioning, and minimizes waste and giveaway of expensive ingredients. This allows higher belt loading to maximize freezer space and packaging materials. Every detail of the TruClean™ wirecut is engineered to minimize accumulation of debris and to make thorough and effective cleaning as easy as possible. The machine is available in widths from 800mm to 1,200mm, producing up to 200 rows per minute. Extra value can be added to the cookies with topping devices. 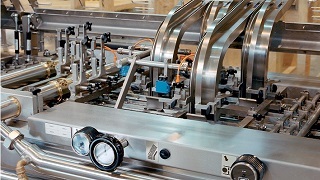 Recovery systems ensure that excess topping is recovered, even on paper-fed machines.